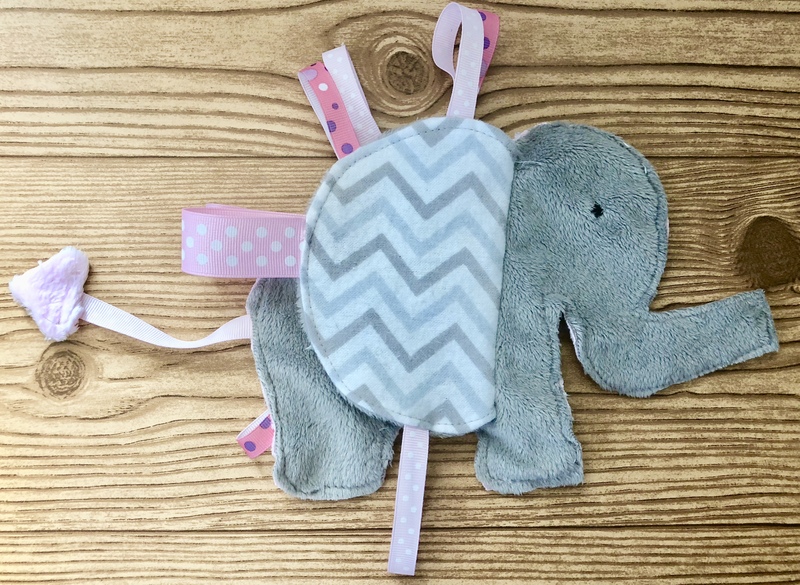 My niece is having a baby girl so of course, I wanted to make her some cute one-of-a-kind baby items. 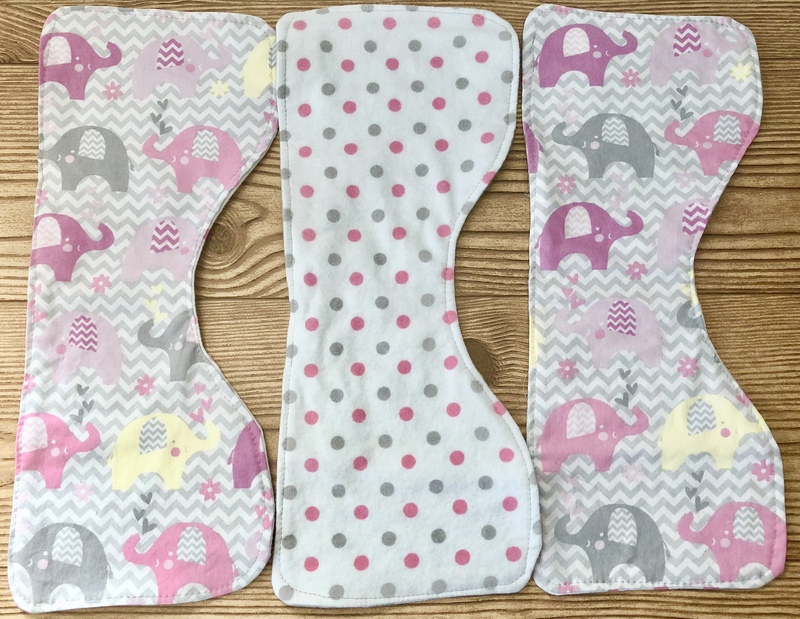 Pink/grey with chevron, and elephants are her theme. I knew I would make a blanket with flannel and minky fabric, but I wasn’t sure what else to make. So, of course, I turned to Pinterest, which never disappoints, and did a quick search for DIY baby shower gifts. 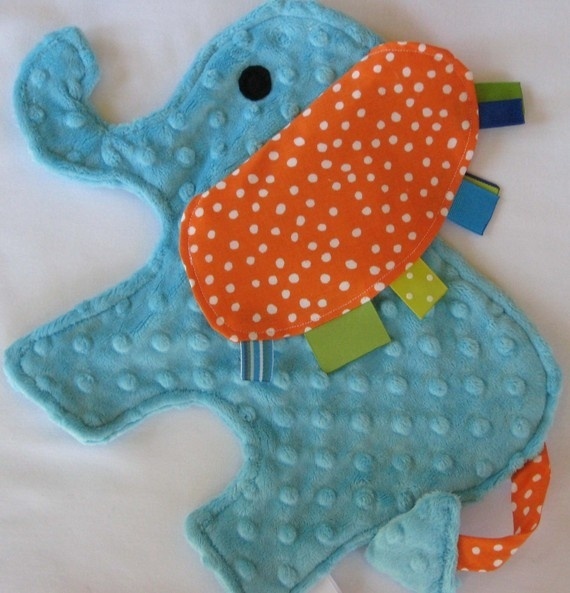 I found this adorable elephant lovey over and over this one came from A girl and a glue gun.com. I just couldn’t find a tutorial on it anywhere. I did eventually find a pattern from Mellysews.com. But I wanted the elephant bigger with a longer trunk and different shaped ears. So, I modified the one from Mellysews and came up with this one. The drawing isn’t fancy but it worked for what I needed. You’ve seen my inspiration and now here is my version. I felt the ears were a little too big, the tags a little too long, and the eye too small. So I made another one. The first time I used embroidery thread to make the eye. 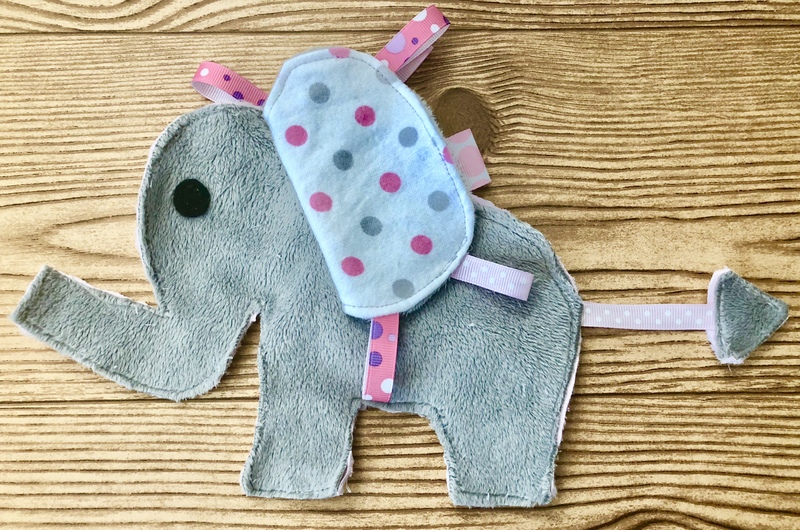 I sewed the eyes prior to sewing the two elephants together. 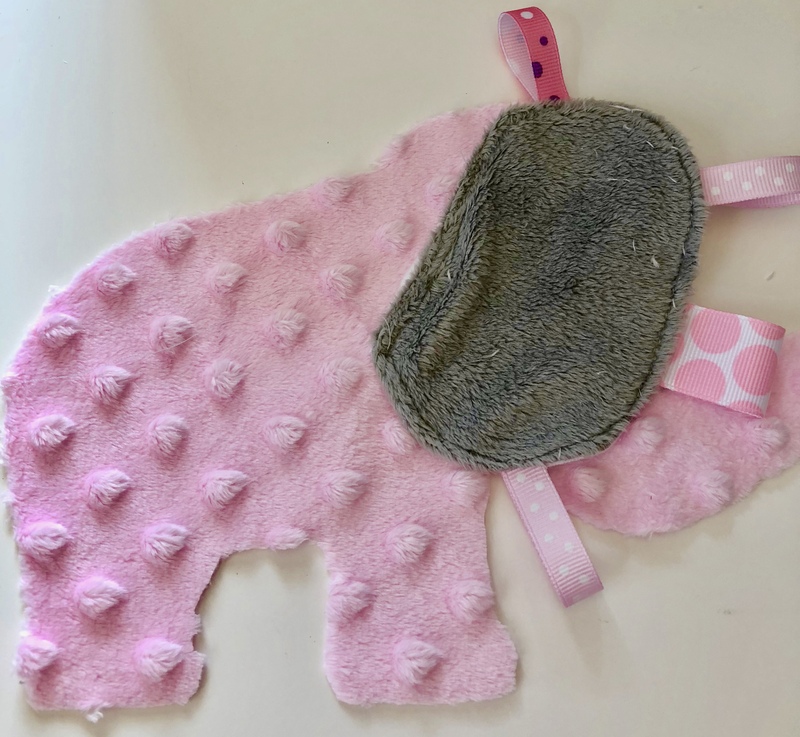 The back side of both elephants is pink minky. I considered using the flannel I used for the ears for the backs, but I was afraid if I just topstitched the flannel it would fray, and I didn’t want to sew them right sides together and turn it. The second time I just used cut a circle freehand from black felt for the eye and cut the ribbons for the tags much shorter. The pattern I included was for the smaller ears, but you could just cut the ears bigger if you prefer. For the ears, I pinned the ribbon tags to the right side of the fabric and basted them in place before sewing the layers together. Baste the ribbons in place. Attaching the ears to the body was the trickiest part. Top stitch the backside of the ear to the body. 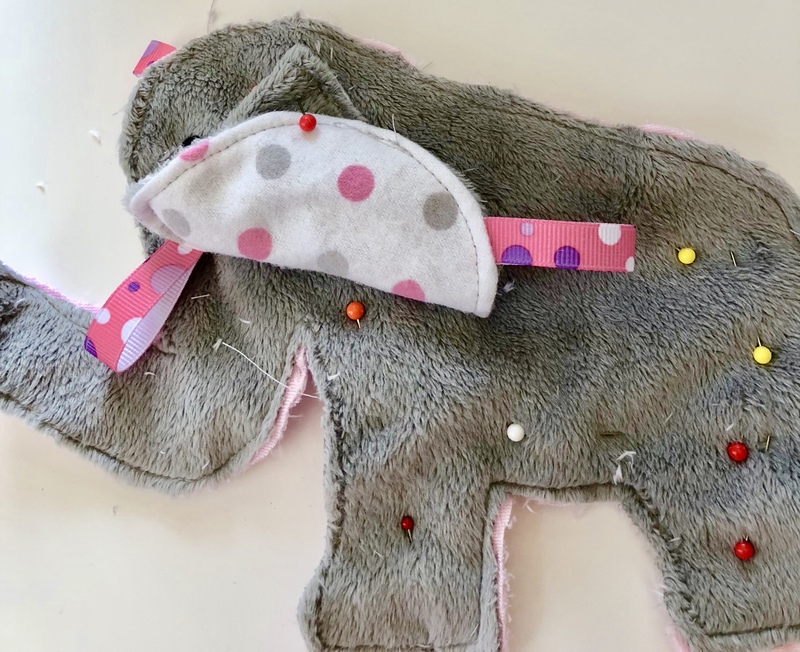 After attaching the ears, pin the bodies wrong-side together, and you will top stitch them together. Be sure to pin the ears out of the way so you don’t catch them in the stitching. Secure ears away from the outer edge. Stitching the front and back bodies wrong sides together is quick and easy. Just remember to insert the tail between the layers when sewing around the body. The tail is just a free hand triangle cut out of both fabrics and topstitched together with ribbon sandwiched in the middle. These burp cloths looked like a great shape. The pattern was super easy. I just used flannel on one side and the cut cotton chevron elephant pattern on the other side. 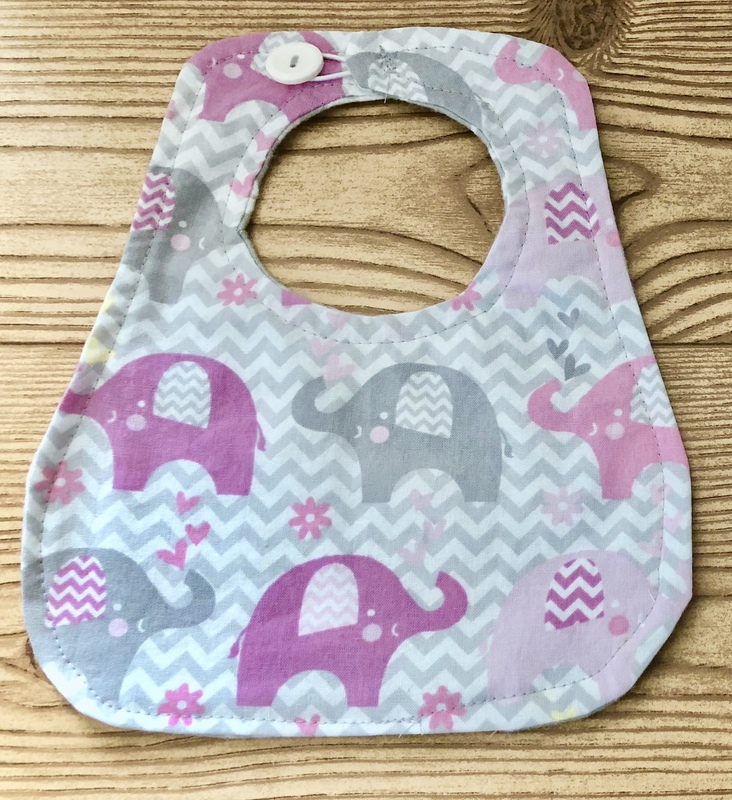 This bib pattern is so easy. 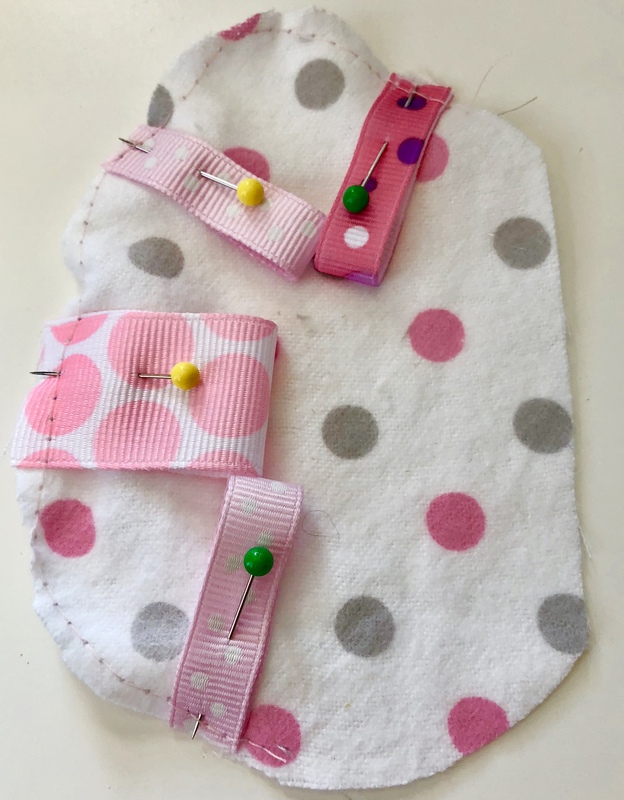 I hate the way Velcro gets stuck to fabric especially in the wash and snags up everything, so I added a loop and button closure on my bibs. 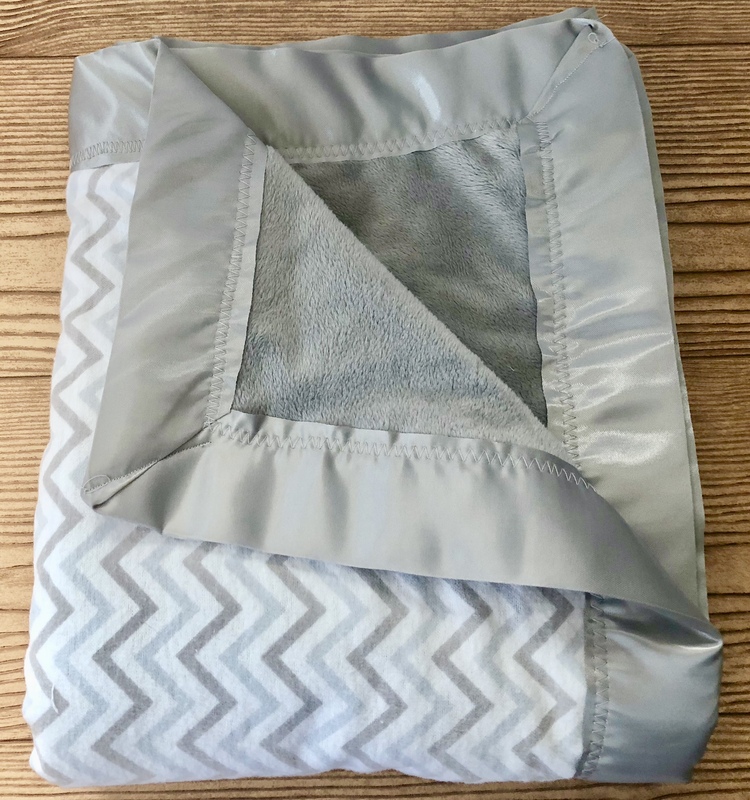 I have made lots of baby blankets, but this was the first time I used satin binding to finish it off. I referred to this Pin and was able to successfully attach the binding without any problems. 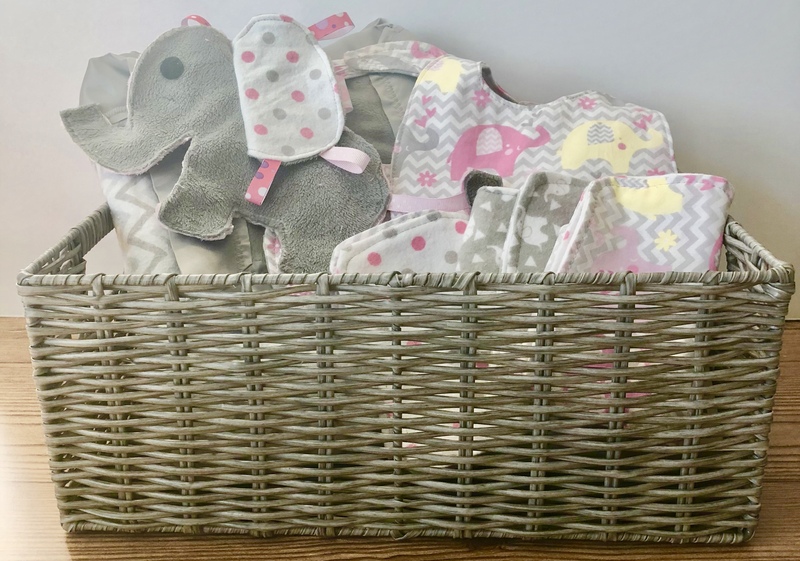 I found a cute grey basket at Michaels and decided to fill the basket with my DIY baby shower gifts instead of just tossing them in a gift bag. I plan to buy a few baby essentials to add to the basket add a ribbon and call it good!